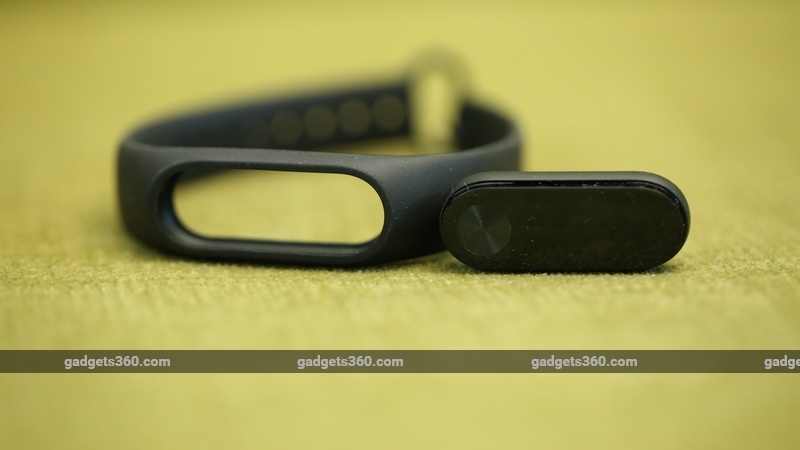 While last year's Xiaomi Mi Band got the price (Rs. 999 at launch) spot on, there were a few compromises that we weren't too happy with, most importantly the lack of a display. A year on, Xiaomi has launched the Mi Band 2 in an attempt to fix those flaws by adding a display and a heart rate sensor. The former is vital feature that should have been there in the first version, and we're pleased that it's available now. 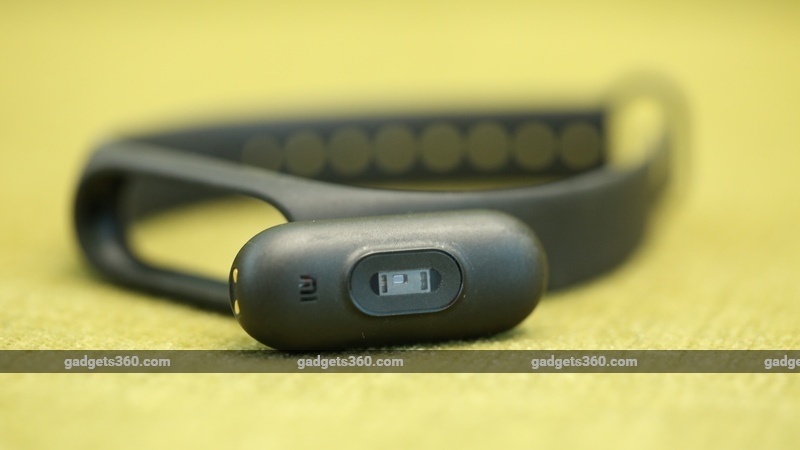 Having addressed the Mi Band's biggest weakness, has Xiaomi gotten everything else right as well? Read on to find out. The Mi Band 2, like its predecessor, has two components - a capsule and a band. The band is made of a rubber-like material that is very comfortable. We wore it for just over a week, taking it off for only around half an hour each day and faced no problems. The clasp popped open once during this period, during a crowded train ride. By and large, we found the band to be comfortable and secure. The Xiaomi Mi Band 2's capsule fits snugly into the band and not once did we worry that it might fall out. The capsule has its display on the top, with a big circular button that lets you check stats such as the number of steps you've taken, the distance you've covered, the calories you've burned, etc. The button worked flawlessly during our test period. The base of the capsule has the heart rate sensor, which protrudes a bit and tended to dig into our skin. You can't get a heart rate reading unless the sensor is pressed snugly against your skin. The edges of the sensor kept digging into our forearms, and left a red mark on our skin after a few hours. That was our only problem with the Mi Band 2's design. We compared the Xiaomi Mi Band 2 against the built-in step tracker on our iPhone 5s for the duration of our review. We also checked it against a treadmill for additional verification. On average, the Mi Band showed 300 steps more than our iPhone 5s each day when we had walked around 10,000 steps. Part of this is due to factors such as us leaving the phone somewhere while still wearing the band. We ran 4km on a treadmill and found that the Mi Band 2 showed the distance covered as 4.09km. Both of these deviations are more than acceptable, and much better than we've seen in most bands. The Mi Band 2 also features automatic sleep tracking, which triggered itself fairly accurately. Sleep tracking and heart rate sensing are two features that not everyone needs, but for those who are interested, we found that they work as expected. If you want a band that vibrates when you get calls, texts, and app notifications, then the Mi Band 2 is a good purchase. All of these features worked well, although you might find this distracting if you often receive a lot of alerts. We disabled WhatsApp notifications for this reason. The Mi Band 2 also lets you set alarms and wakes you up with a discrete buzz. This is one of its most useful features, and we're happy to report that it worked well. If you hate loud alarms or don't want to disturb others sleeping in the same room, silent alarms are just great. All alerts can be configured via the Mi Fit app, which is slick and worked fine in our experience. The sign up/ sign in process could use a lot of improvement though - it's still not intuitive and we had to force-quit it once to get it to let us sign in. The app shows basic data such as steps/ distance covered and sleep time pretty well, but we found ourselves wishing for more granular information and insights such as the times of day that we were the most active. If you're happy with just basic amounts of data, then you will have no issues with the app. The Mi Band 2's battery life is exceptional. After eight days of use, the battery reported that it was still 75 percent full. The device needs a proprietary charger, which could be a problem if you lose it or forget to carry it with you. The Xiaomi Mi Band 2 is a reliable activity tracker with a heart rate sensor. 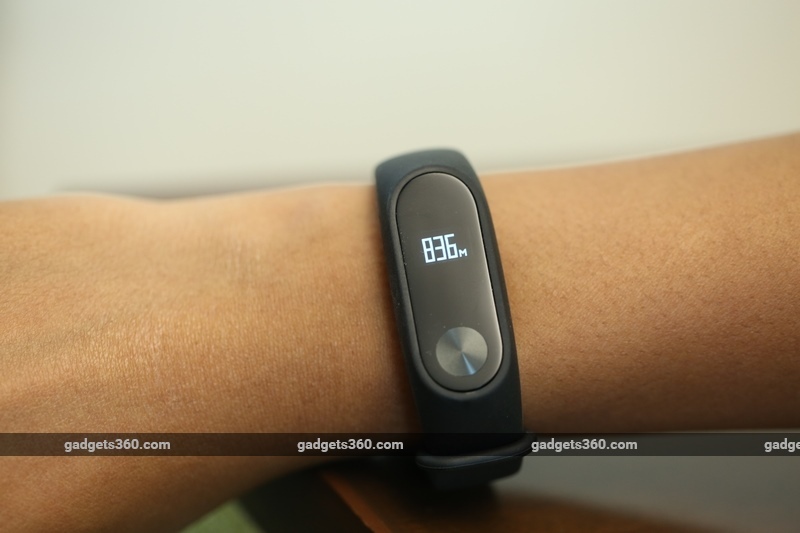 The Mi Band 2 is available in India at Rs. 1,999 and it's well worth the price. The only real problem we had with this product was that the edges of the heart rate sensor forced us to wear it a little looser than we would have liked, so be aware of that potential problem if you need a fitness tracker that you can wear all day. product Is the Xiaomi Mi Band 2 the best budget activity tracker available today? Read our review to find out.